The festive season is upon us, and we know how busy your schedule can be. There are decorations to hang, gifts to wrap, families and friends to visit and so much more! So to make your life easier, we’ve put together our 10 favourite gifts for 2016, to make the yogi in your life feel extra special. This beautiful set of candles is perfect for balancing the Chakras – using carefully selected aromas with pure essential oils to stimulate the chosen Chakra. 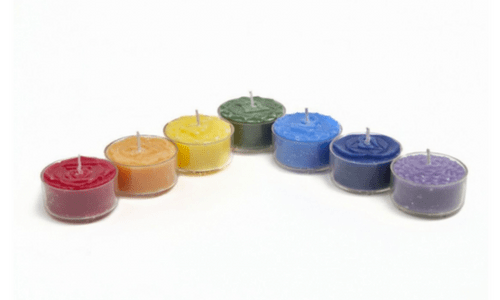 These candles burn clean and smokeless and are made with no animal derived ingredients. They are also very reasonably priced at only £5.95 for the set of seven candles. Secret Santa anyone? 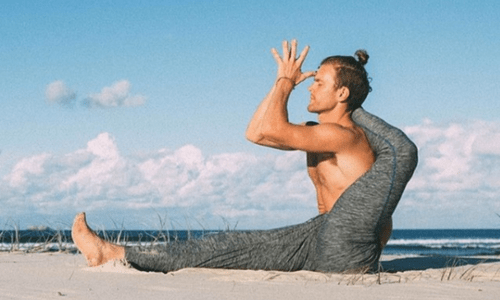 More and more men are discovering the benefits of yoga – and this company has noticed! OHMME make stylish, comfortable and practical yoga clothes for the male yogi. They make a combination of subtle and contemporary shorts, trousers, tops and hoodies, starting from £20. Om Yoga Magazine believes that it’s not just about doing yoga, it’s about living yoga. We couldn’t agree more! 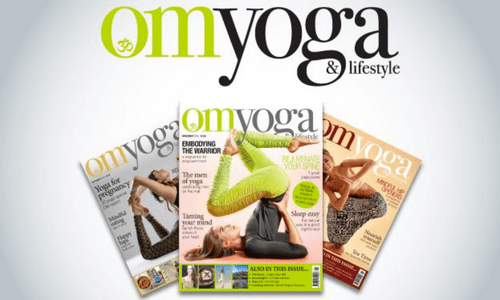 12-month subscriptions to Om Yoga Magazine start from just £36, and we’re giving one lucky Facebook follower a chance to win a whole years subscription! Enter on our Facebook page on December 12th, and you could win this amazing prize for you or a friend to enjoy. Moontribe is an ethical clothing company based in London with an intention of being an authentic voice within the yoga community. They provide yogis with contemporary and fashionable vests and tops to wear in their practice. 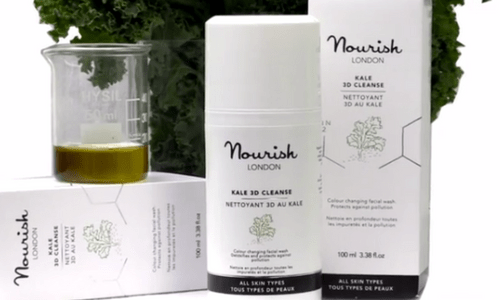 Nourish Skin Range’s Kale 3D Cleanse is a colour changing facial wash that lifts impurities and reveals healthy, radiant skin. It contains hyaluronic acid, probiotics and oxygenating extracts that work in synergy to energise and refresh the skin as the facial wash lifts make-up and grime. Kale and Griffonia detoxify and protect against pollution, helping to minimise signs of ageing. We’re giving away one of these amazing cleansers worth £25 in our special Christmas hamper! Just sign up to our newsletter to be in with a chance of winning. Balance can be hard to find in today’s fast–paced world. At Positivitea they believe in the three Ps – being PRESENT, believing everything is POSSIBLE and remaining POSITIVE. They also believe in the chakras, the energy centres of the body. When they are balanced you feel positive, healthy and happy. By harnessing the healing power of herbs each tea within the Positivitea range has been specifically blended to help the smooth running of the organs associated with a particular chakra or counteract the ailments associated with its imbalance. 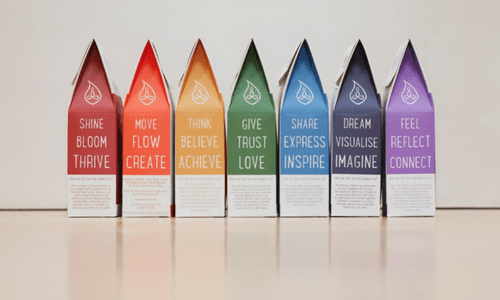 Positivitea prices start from £5.50, or you can order tea subscriptions for a gift that keeps on giving! Yoga Design Lab makes beautifully patterned eco-friendly yoga mats. Their machine washable combo mats consist of a microfibre top layer bonded to a natural tree rubber base, giving you the sweaty grip of a towel and the cushion of a yoga mat. It’s is also biodegradable, recyclable and the prints are made from water-based inks. As an added bonus, they’re also free from silicone, toxic glue, and phthalates! Winter is the season of Yin, and although balancing your Yin with Yang yoga is important, Yin yoga can be used to counter the hectic nature of the festive season. Christmas time is full of travel and busy schedules – all very Yang. Give a loved one the gift of balance through Yin yoga from yoga teacher and anatomy expert Paul Grilley, with his range of books and DVDs. With Sweaty Betty’s reversible yoga leggings, you’re not giving just one gift, but two! One side of these high-quality leggings offers a neutral colour, and the other side a fashionable print. Some of their reversible leggings range also have stylish sheer panels. Which way you choose to wear them each day is up to you! 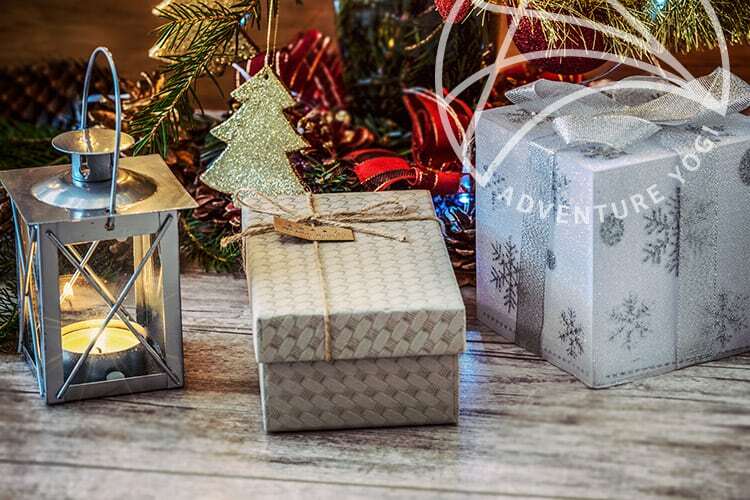 No gift list for a yogi would be complete without an AdventureYogi voucher! Our vouchers are ultimate treat for the yogi in your life, whether they be beginners or advanced. You can contribute any amount towards a retreat, or go all out and really spoil them with a full retreat voucher. 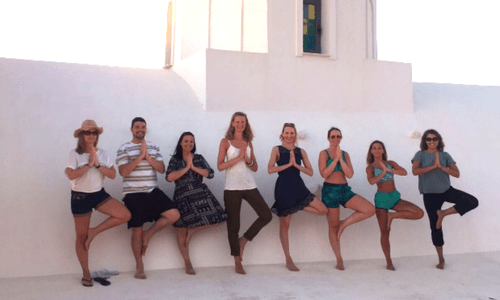 Retreat prices start from £89pp all over the UK and abroad in Sri Lanka, the French Alps and Santorini. Check out our calendar for dates. Or email us at info@www.adventureyogi.com and we will sort it all out for you! Finally, don’t forget to treat yourself this season! If you’re feeling more stressed than festive, check out our blog on ways to stay calm this Christmas here.